The word revolutionary is over-used in the technology field, but there’s no other way to describe the impact of digital photography. It has never been easier to capture high quality photos and videos, and we share hundreds of millions of them on the Internet every single day. With roots in NASA research, and government spy satellites, digital imaging was originally envisioned as a way to overcome the limitations of traditional film cameras. 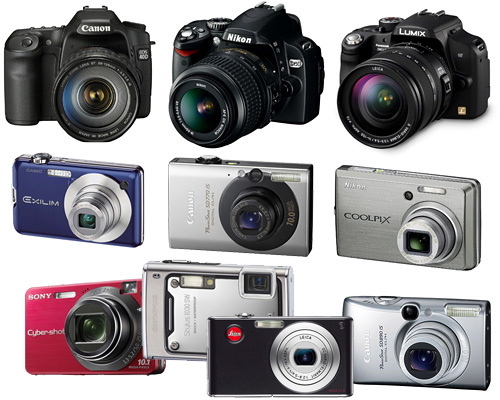 Digital photography for the mass market really began with the invention of the charge-coupled device (CCD) in 1969. Here was an image sensor that could convert photons into electrons, taking light through a grid of picture elements (pixels) and storing it as an electrical charge. It was the mid-1970s before electronic cameras began to hit the commercial market. The next problem to solve was storage. Some of the first digital cameras recorded images to cassette tapes, and even into the 1980s most used floppy disks. Two important developments began to bear fruit in the early 1990s. Firstly, the Joint Photographic Experts Group, created in 1986, released the first JPEG standard in 1992. This was a codec for image compression, enabling an image to be compressed into a stream of bytes roughly one-tenth the size of the original image without much perceptible loss in quality. Then there was the first camera to use a solid-state memory card. It appeared in 1989, but it was never commercially released, and it would be another couple of years before the technology came down in price far enough to be a viable solution for mass market digital cameras. In the mid-1990s the first digital camera to have a built-in LCD display for reviewing photos hit the market. Images were compressed and stored on a memory card. Dispensing with the need to hook up a camera to a computer or monitor to view the photos was a ground-breaking step. One of the major strengths of digital photography is the ease with which anyone can edit and alter photographs after capturing them. A number of software packages sprang up enabling increasingly complex manipulations (photoshop was already being used as a verb in 1992), but these programs required the user to download photos to a computer first. As basic firmware on digital cameras has gradually improved and the hardware has grown more powerful, photographers are now able to create and edit images and videos directly on the device. Simple adjustments to brightness and red eye correction have given way to complex post-processing filters and effects. In the last decade, the same advances in storage capacity and compression that made digital cameras so attractive for photography reached the stage where they could do the same for video. Camcorders are declining in popularity as digital single-lens reflex cameras (DSLRs) can now do everything a camcorder does and more. The first DSLR capable of recording video at a 1920 x 1080 pixel resolution was released in 2008. In 2014 compact digital cameras and smartphones are enough to satisfy many consumers’ video needs; the ability to capture full HD 1080p footage at 60 frames per second is not unusual. Audio recording quality still lags behind, but that is more of a concern for professional videographers. The development of mirrorless camera systems, which first burst onto the scene in 2008, has paved the way for further miniaturization. Traditional DSLR cameras have an arrangement of mirrors inside that enables you to see exactly what the lens sees when you look through the viewfinder. Dispensing with mirrors, but retaining large image sensors, enabled manufacturers to make smaller and lighter cameras, but retain the speedy performance, interchangeable lenses, and fast autofocus that made DSLR cameras so popular. The rise of the smartphone has driven manufacturers to find new ways to fit the latest camera technology into increasingly svelte devices. The quality of point-and-shoot compacts has improved dramatically. It’s possible to capture increasingly high quality images and videos on ever smaller devices. Despite improvements in compression and increases in storage capacity, the pressures of capturing larger images and HD video are presenting new problems. The growth of the cloud aims to solve them as Wi-Fi enables wireless backups to a wide array of online services. The development of Eyefi SD cards with built-in Wi-Fi brings the same capability to older camera hardware. The idea that you could capture a photo, edit it on the camera, and then upload it to share with the world, all within a couple of minutes would have been unthinkable just 20 years ago. Imagine what the next few years might bring.